In a few words – we raise funds for charities within Sheffield and South Yorkshire by hitchhiking from Sheffield to Europe, in about 2 weeks! Early RAG posters refer to the first big event as ‘Bum it to Budapest’. After the hitchhike broke away and became its own society, the name was shortened and eventually became ‘Bummit’. Obscure origins, but the name is great. Completely unique and identifiable. Beg, Borrow, but don't steal! People taking part in the events are not restricted to hitchhiking for the entire distance, the use of public transport is permitted. The fee of using public transport can often be waived by showing, for example, a train conductor or bus driver the letter printed in the Bummit Bible, a booklet given to each participant. This handy tome contains safety information, contact details of the British embassies in most European countries, and a letter from the students union, as well as good hitching spots, handy phrases and fun things to pass the time. Each academic year we have two great events, which you have the opportunity to participate in. Baby Bummit & Big Bummit. Baby Bummit is a smaller event involving 200 students who attempt to hitchhike to a location in Great Britain in one day. Once there, we have a meal and night out to celebrate. Big Bummit is much larger and involves upto 300 students exploring all different areas of Europe in an attempt to make it to a halfway point and and end destination over a period of around 9 days. Again, there is a meal and two nights out to celebrate! The two types of "Bummit"
Baby Bummit is a small event involving 200 students who attempt to hitchhike from Sheffield to an endpoint location within Great Britain in one day (actually 10 hours). From past Baby Bummits, the endpoint location is usually somewhere around Wales, Scotland, or Brighton. The directional cycle is repeated every 3 years. 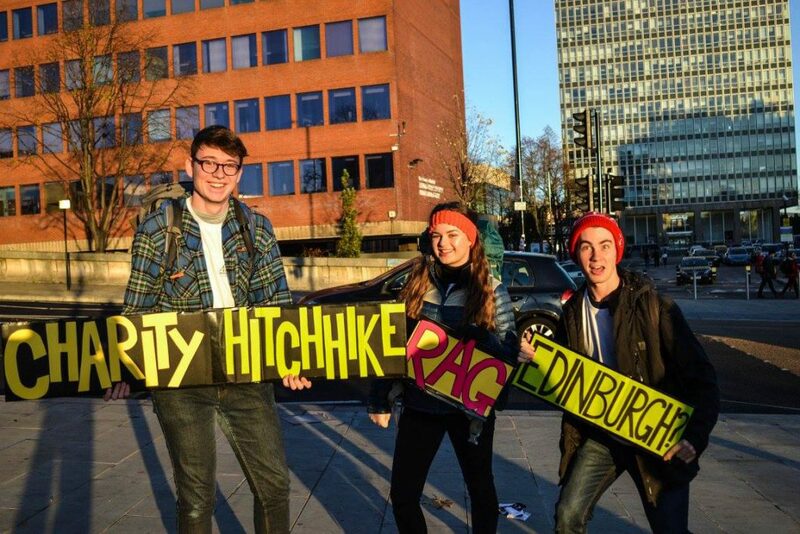 This event is great if you are new to hitchhiking! It will provide a glimpse to what Big Bummit feels like. Once arriving at the endpoint, free accommodation, meal, and a night-out is included to celebrate a day of hitchhiking! Participating in Baby Bummit GUARANTEES you a place on Big Bummit. To sign up for this exciting event, you will need to purchase a ticket from the box office in the union. Make sure you get there early to avoid disappointment, as this event is famous for attracting big queues and selling out on the day. You can then go online to fill out the registration form. You are required to raise a minimum of £80 sponsorship to support Sheffield RAG’s worthy causes. 85% of the money raised goes to local charities in Sheffield and South Yorkshire, with the remaining 15% supporting charities further afield. For 2018, Baby Bummit this year will happen on the 7th of November to Bristol! Big Bummit, as the name suggests, is a bigger event involving upto 300 students who attempt to hitchhike from Sheffield to an endpoint location in Europe. Split into two halves, students hitchhike from Sheffield to a halfway point, and then from a halfway point to an endpoint location. Since 2003, Bummit has been to Bucharest, Ljubljana, Split, Sofia, Riga, Budapest via Halfway points Berlin, Munich, Wroclaw, Prague. This is the ultimate hitchhiking event ever. This is the best Bummit has to offer. Up to 10 days of hitchhiking from Sheffield to Europe. If you ever wanted to travel across europe without spending a penny on transportation (besides the return journey), THIS is your ultimate chance! 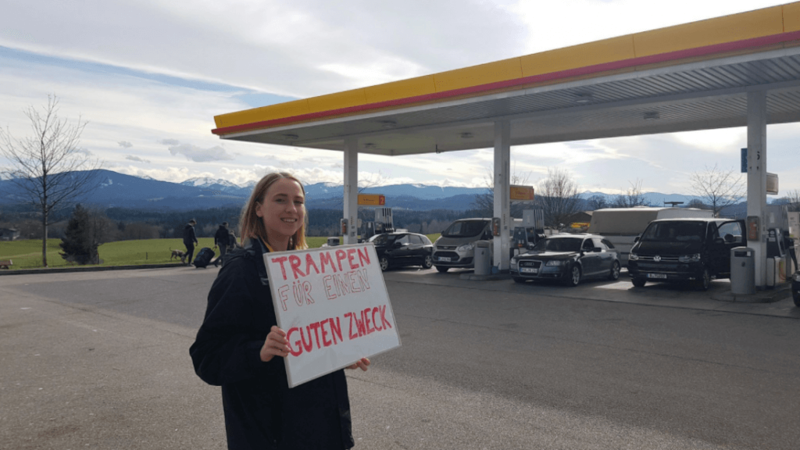 Once arriving at the endpoint, free accommodation, meal, and a night-out is included to celebrate what is essentially days of hitchhiking across half (or most) of europe!